This conversation is starting to get old. It is 2011, not 1875. It’s time we collectively got our heads out of our filters and prepare students properly for the world they will graduate into, not the world we grew up in. Everyone needs to be vocal, everyone needs to be an advocate for students in the 21st Century. I’ve written about this before, but the message is still not getting through. The red tape and fears are mounting and students are suffering in the wake of ill-informed adults. The Internet filters, in their current state, have got to go. Protecting students is one thing; a blanket denial of modern learning is another. Schools are supposed to be places of learning, not prisons of content. Content and information live everywhere now and the impetus is upon us to create opportunities to connect that content, not continue to limit it. We trust teachers with children, but not with the internet. Teachers are better filters of appropriate sites than machines. Machines aren’t discriminate, machines don’t factor in lenses of opportunities. We need levels of protection if districts can’t agree on their filtering issues. We need tiered filtering so that teachers can access content at a different level than students. 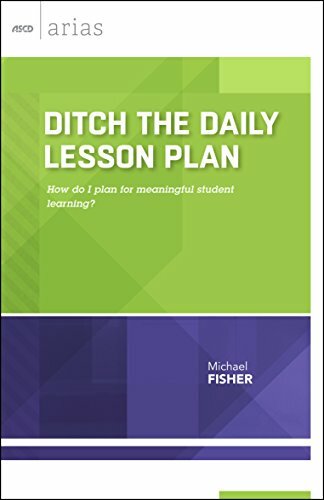 Teachers need to be able to make sound instructional decisions based on the usefulness of a web resource, not limited by what the filter says is appropriate. CIPA rules do not block Youtube or teachers. Please READ THIS ARTICLE. CIPA rules only advocate for blocking inappropriate sites for students. Youtube is not on some Gestapo CIPA list. 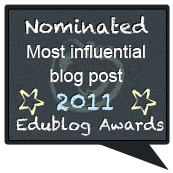 There are many appropriate Youtube videos that are beneficial for teachers. In fact, Youtube just created a PLACE just for teachers, but unfortunately, it is blocked by Tech Directors who mean well but are either all-controlling or ill-advised about education in the 21st Century. Additionally, there is NO PROVISION in the CIPA rules that blocks teachers from ANY Internet site, that is SOLELY a district decision. Let me also add that CIPA includes the following provision: "An authorized person may disable the blocking or filtering measure during use by an adult to enable access for bona fide research or other lawful purposes." Get your heads out of your filters. 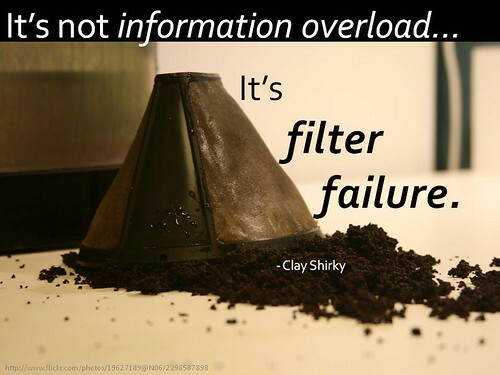 Your filters don’t have the benefit of discretion. Using a blanket filter virtually guarantees that your school is NOT a place for learning in the 21st Century. In fact, blanket filters are portals back in time. Your students live in the 21st Century. Do you really want to create a time machine that forces your students to learn in modalities of the past? Smart phones are already open to your students, and you can’t control it. Who’s teaching them to use them responsibly? Once students are old enough for their own cell phones, chances are good it will be a modern phone with internet capabilities. So then, the internet filters at school are moot, except that now it’s mainly teachers that are blocked from resources that would impact student achievement. Also consider who is teaching students to use the Internet responsibly? Their parents? Their friends? Blanket filters don’t teach students what to do if they come across something inappropriate on the Internet, it only fascinates them around WHY a website may be blocked. Teachers are blocked from teaching students. Dramatic statement? Yes. Truth? Yes. 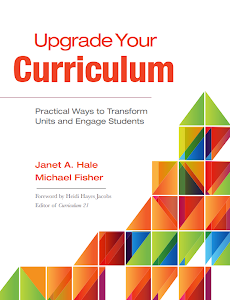 Not letting teachers discern appropriateness within the scope of their professional capacities about resources that are needed for instruction essentially blocks them from teaching effectively. Do your state test scores reflect yesteryear thinking? Want to raise your state scores? 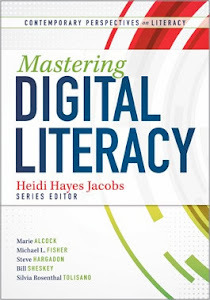 Use 21st Century tools, websites, and resources. If those resources are blocked, you are shooting yourself in the foot and should not complain when your students perform to the 19th century standards that you are essentially advocating for and providing resources for. Students are blocked from learning. 6th Capacity of CCR standards. 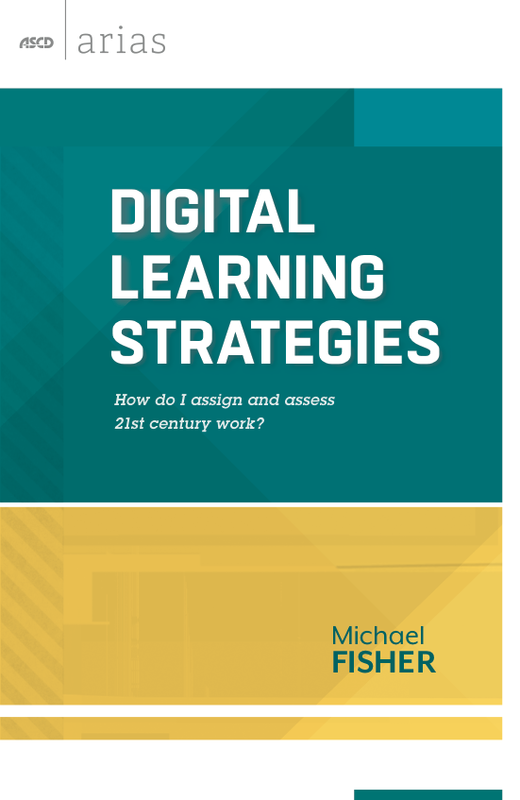 The 6th capacity of the College and Career Readiness standards in the Common Core requires that students use technology and digital media strategically and capably. They can’t do that if they are limited. They have to make choices. They have to discern, curate, think critically, and articulate the why around the usefulness of resources. 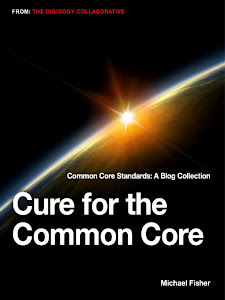 States that have adopted the Common Core but also promote blanket filtering in their schools are, in fact, not meeting the College and Career Readiness capacities. Monitoring and Blocking are 2 different things. I can’t think of school that, pre-Internet, had detectors at the door that prevented every conceivable nefarious material from entering the school. Those things were monitored by teachers. If a kid brought something into school that they weren’t supposed to, then the teacher decided how to handle it. The Internet needs to be monitored by the professionals that are using it, not blocked. Blocking reinforces “Time Machine” mentalities and 19th century instruction. Technology Divas with no educational background are in control. Filtering limits Collaboration, Critical Thinking, Creative Problem Solving, and Communication. The. World. Is. Flat. We can’t go back to the private world we grew up in. Social media and the leveling of the global playing field means that our students are not just competing with their community peers, but with students around the world. We have to understand and appreciate global perspectives, bringing the world into our classrooms, and taking our classrooms to the world. We can’t do that in blocked environments. We have to move forward and we have to do it now. We need to stop thinking about integrating 21st Century tools...we’ve had 11 years to consider how we are going to do it. Stop limiting our kids and let them bloom. We have obligations and responsibilities to grow these kids in the time that we must prepare them for. Or don’t do it. But you better be prepared to tell this generation why you held them back. Dave-Fave inside me - Play. Communication. Experience. "We are what we Share"
An idea that our team has been planning is finally coming to fruition and I am so excited to be able to share it with you! 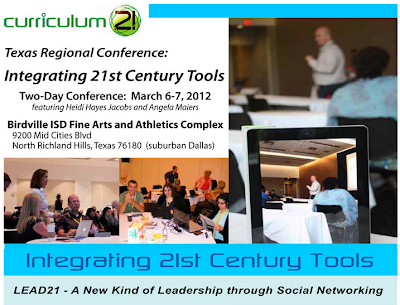 Our Curriculum21 team has been talking for months about how to leverage social media with instructional design and practice, specifically for teacher and district leaders. We live in a new time, with new rules, and new considerations. We have a responsibility to not only KNOW what is on our collective horizons, but also how to infiltrate the new world in a way that is personally meaningful and relevant. Which has lead us to our first regional event we’re calling LEAD21. (Click the link to see the online flier!) It will be in Birdsville, Texas (just outside of Dallas) on March 6th and 7th, 2012. This all new Curriculum 21 Regional Conference brings together some of the best of the 21st Century networkers, including Angela Maiers, Silvia Rosenthal Tolisano, and Heidi Hayes Jacobs, along with Bill Sheskey and yours truly for a two day curriculum, networking, and 21st Century Leadership extravaganza! 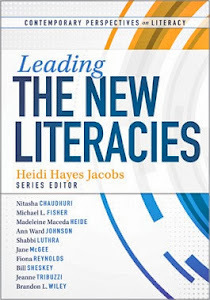 In Curriculum 21, Heidi Hayes Jacobs talks extensively about “New Forms.” We will be exploring New Forms of leadership, New Forms of Learning Communities, and what “Just in Time” professional development is all about. We’ll be rooting all of this in curriculum and how these forms of leadership and virtual interactions enhance curriculum maps and strengthen curriculum conversations. Click here to register! Hope to see you there! Also--you can follow us all on Twitter LEADing up to the conference. We are already sharing some resources and having online conversations related to the event! There’s been a flurry of news bits and tweets and wall posts around his death, but all of them have a similar theme and I think that theme is as good as any to honor the man who changed our digitial landscape: Commit fully to your passions. My family and I watched many different clips last night of people commenting on how committed he was. How he would come up with an idea, and regardless of what others thought, implement it with tenacity and courage, believing wholeheartedly in its success. I wondered about how that looks in education, how educators commit themselves to the children they are responsible for. 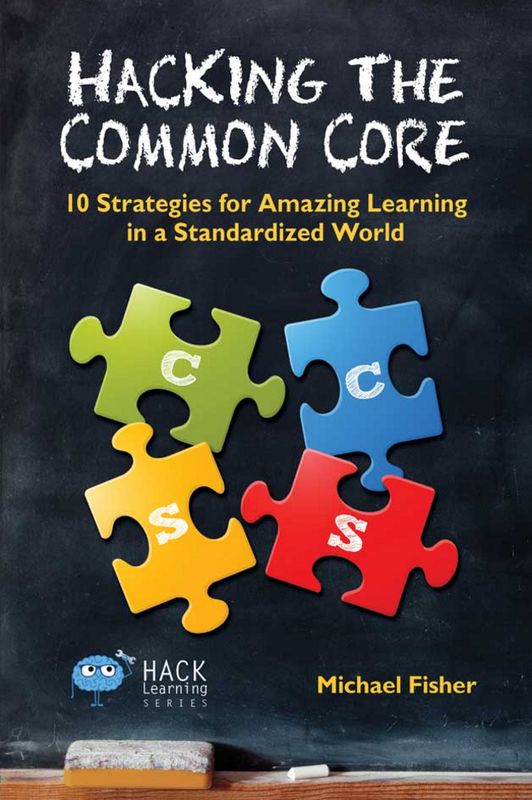 Perhaps now is a good time to take another look at our commitments, an opportunity to prioritize what is important...an opportunity to re-commit ourselves to doing what is best for kids. Education, nationally, is in a constant state of turmoil and I know that many of you, like me, are overwhelmed with new standards, new pushes for teacher evaluations, value added growth models, etc. It reminds me of Eckhart Tolle’s book THE POWER OF NOW, and what he says about how we can really only control what is in our zones, in our reach, and in our immediate moments. There may be other minutiae that we have to deal with but we can’t control the future, only the present. We can shape the future, though. Steve Jobs did with his commitment to his passions, his ideas, and the future he imagined for us all. What are your passions? What can you commit or re-commit to today? In honor of Steve Jobs, I’d like to challenge each of you who read this blog to commit to something you are passionate about in education and share it here. Then follow through with your commitment. I commit to working in the NOW zone. I want to do a better job of managing those things I can control in the moment and start pushing the “What Ifs” off of my plate. With all of the work I do with teachers around many different elements, the “What Ifs” sometimes bog me down and mask the scope of the real work to be done right now to benefit teachers and students. That’s what I’m committing to right now. @fisher1000 Fun Spooky Stories writing competition for ur students - they could win a kindle & get published! http://t.co/iOjHN4f6 R/T!